Social media has come a long way since the days of Six Degrees and Friendster. These days we have the ability to connect with thousands of like minded individuals, or in your case prospective customers, for minimal output. The great thing about social media is that it gets you right to the heart of your customer base with instant and measurable results. 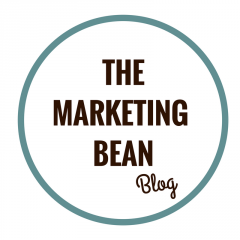 Many brands do it really well (check out my favourites at Innocent Drinks). However, even some of the biggest companies in the world get it very wrong indeed. So, how do you use social media to engage with your audience? How do you know which strategies to use? Well here is some advice to get your started. You are set up social media – great! Now, what do you post? Finding content can be incredibly challenging and time consuming. The best way to start is to create a persona for your audience. Who are your audience? What type of information are they going to want to see? To be consistent with your approach you need a content marketing plan (the guys at Buffer have put together a great resource which goes into more depth). Consider how you want your brand to come across. Use social media to shape your brand personality and do not be afraid to have a little fun. A great way of demonstrating your knowledge and integrity is to create your very own content. You could write a blog, put together a video, take photos, go ‘live’ on Facebook. The possibilities are endless. To satisfy your audience – you need to understand what they want to see. This may involve some trial and error. Start posting and see what type of content encourages interactions from followers. Do not be afraid to share ‘re-purposed content’ – this is content created by others. Consider finding interesting, useful and engaging information from across the internet to share with your audience. The content created by other exists to be shared, just make sure you acknowledge the author. Social media is exactly that, social. You have probably seen lots of businesses posting endless streams of content without any form of engagement with those who try to interact. If your customers talk to you, talk back! Do not be afraid to ask questions, respond to queries and engage in general chit-chat. Unfortunately this also means your social media platforms require regular attention (it really is a 24 hour job!). If you are using a scheduling tool such as Buffer or Hootsuite make sure you keep an eye on any comments, replies and interactions which may follow. Satisfying your audience does not just have to be about creating and sharing content. Creating a whole community of like-minded individuals is also a great strategy. Remember, your product or service exists to solve a problem; creating a community for people to converse is a great way of understanding your audience and the problems they face. If you are considering creating a community on LinkedIn or Facebook, make sure it is fairly impartial – do not spam with advertisements for your business or you will risk loosing members! Make your customers brand champions! It is a fantastic feeling when your followers or members of your community share your braded content. This enables you organic exposure across social media platforms and really helps build your brand credibility. One step better than this is when your customers actively engage with and champion your brand. For example, a satisfied and happy customer may tweet an image of themselves wearing your clothing brand, or using your product. A great strategy is to re-purpose these posts across your own social media (where appropriate!). Give your customers a specific hashtag to use and develop this into a wider campaign. This will make it easy to identify specific posts attributed to your brand. Happy customers are more inclined to leave positive reviews, your interactions with them across social media will help positively influence their overall customer experience. 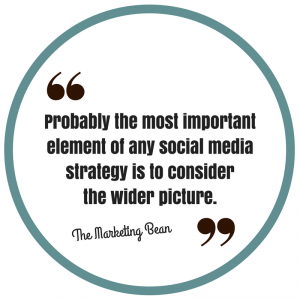 Probably the most important element of any social media strategy is to consider the wider picture. Your brand exposure on social media is critical in shaping your overall digital presence. The way you interact with customers, the content you post and your overall brand persona needs to be in-keeping with your overall business and marketing goals. What do you want to gain from using social media? You may want to generate new business, change perceptions of your brand, improve customer service, create interactions with customers – the list goes on. You need to have specific goals in mind. Many businesses I speak to feel that they HAVE to utilise social media; this is not always the case. Key to your overall marketing strategy is understanding your audience, where they are, what they like, and how your business can truly help them. There may be segments of your audience you simply cannot reach on social media. Only when you fully understand this can you develop a robust strategy aimed at giving your customers very the best experience. I saw you tweeting about TweetedKeyword and I thought I’d check out your website. I really like it. Looks like Bec Baker has come a long way!